This A Valuable Resource for Parents | Center for Parent and Teen Communication is a sponsored post written by me on behalf of the Center for Parent and Teen Communication. The opinions, memories, and text are all mine. Listening to you say your first word – “mom.” Watching you learn to crawl and then start walking on your 1st birthday as if you knew how to do it all along. Taking you to get your ears pierced and watching that terrified look on your face and reminding you that this is what you wanted. Reading you bedtime stories until you could read on your own and then listening to you read them to me. Playfully fighting with you over the radio stations or songs that we play in the car. Loving the fact that you care about your grades in school and watching you continue to excel academically. Giving you a little independence and dropping you off at high school football games and the mall so you can hang out with your friends. Seeing you stand up for others who can’t stand up for themselves and listening to the compliments from other parents on your positive actions. Laughing with you on only things that the two of us think are funny and watching everyone else trying to figure out what the joke is. As much as we may want to freeze time and keep our children young, we have to do our best to prepare them for adulthood. Before they reach adulthood, of course, they have to through their teenage years. Click on the video below to find out about a resource for parents to help their children navigate through the teenage years. This is a sponsored conversation written by me on behalf of the Center for Parent and Teen Communication opinions and text are all mine. The Center for Parent and Teen Communication is a new, helpful resource for every parent with teenage children. To get an idea of what type of advice and guidance can be found at the Center for Parent and Teen Communication, click HERE to read an article from the director, Dr. Ginsburg. The Center for Parent and Teen Communication uses the best of science on youth development and parenting to support healthy family relationships and empower parents to effectively guide teens to be their best selves. Share with us one of your favorite childhood memories in the comments below. Don’t keep this valuable information all to yourself – share this article on to one or more of your social channels to help other parents. Just click on the sharing icons. Get Social with the Center for Parent and Teen Communication! We hope you loved this A Valuable Resource for Parents | Center for Parent and Teen Communication post. This is a sponsored conversation written by me on behalf of the Center for Parent and Teen Communication The opinions and text are all mine. I was so excited to be asked to test drive the 2019 all-new Acura RDX in Whistler, British Columbia. My first luxury car was a 1995 Acura Legend. I really loved that car. It was stylish, comfortable, and dependable. Basically, it was everything I needed and more in a car especially for someone in their early twenties. When I sold the car on eBay, I was surprised to see a gentleman from South Dakota make the purchase. He drove all the way from South Dakota to Atlanta, GA to pick up the car. He loaded it on a trailer and off he went back to South Dakota. That is 1500 miles each way! When I made the exchange, I asked him why he drove so far to buy a car and his response was that an Acura with such great features and excellent body style is a car in hot demand in South Dakota. Cars without salt damage and had not been in the “salt belt states” would go for much more than what the blue book listed and Acura’s even went higher than that due to their great reputation and reliable history in the automobile industry. I knew I had purchased a great car, but felt even better about my purchase on the day I sold it! The all-new Acura RDX is a first in a generation. It is the most extensive Acura product redesign in a decade heralds a new era for Acura design, performance and luxury. The RDX has been the top-selling nameplate in the compact luxury SUV segment since launched in 2006. With the Acura exclusive platform, powerful new turbo engine, available next-generation SH-AWD™ and top-of-class class power-to-weight ratio yields quickest, best handling RDX yet. Developed at the Acura Design Studio in Los Angeles, California, and inspired by the Acura Precision Concept, the all-new RDX presents a more emotional, athletic and aggressive form to match its premium performance-luxury SUV image. It is the first all-new Acura model to be designed around the bold new face of Acura and its signature design element, Acura’s diamond pentagon grille, from which the design intentionally flows outward. The RDX’s NSX-inspired high-deck floating center console – lends the cabin a more intimate “sports cockpit” atmosphere while providing a higher level of utility for the accompaniments of daily life, including cups, cell phones, handbags, tablets and charging cords. It also houses key elements of the Acura electronics interface – its prominent drive mode dial for control of the 4-mode Integrated Dynamics System, and Acura’s revolutionary new True Touchpad Interface™. 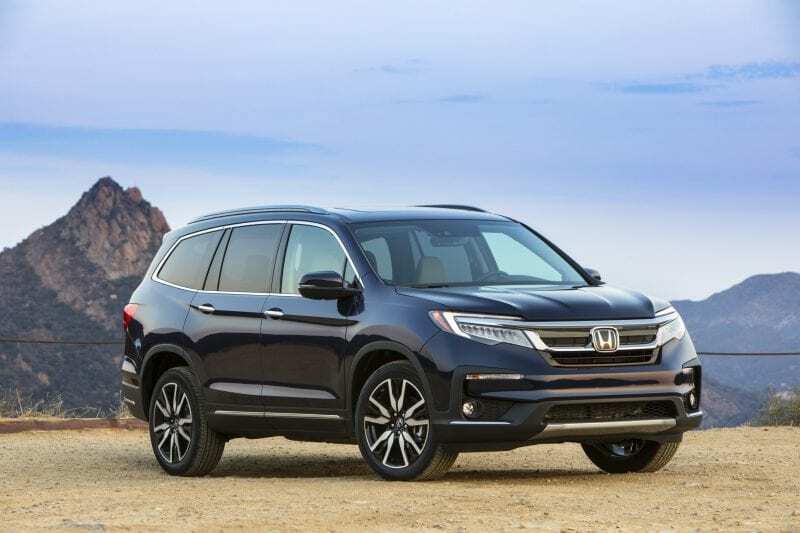 One of the things that I loved most, is the open and airy feeling of the new ultra-wide panoramic moonroof which is among the largest in a compact-luxury SUV and offered standard on every new RDX. The 2019 RDX hosts a suite of advanced new technologies, including the Acura True Touchpad Interface™, featuring an all-new Android-based operating system, a high-mounted 10.2-inch full-HD display and an innovative touchpad with the first-ever application of absolute-positioning in a driving environment. Absolute positioning departs traditional touchpad interfaces, using one-to-one mapping to deliver a more intuitive and driver-oriented user experience. The new True Touchpad Interface™ is standard and all grades of RDX will include Apple CarPlay™ compatibility, plus Wi-Fi-enabled over-the-air system updates. Android Auto™ compatibility will be introduced later, pending release and certification of touchpad specification by Google. You really have to hear it for yourself to believe how amazing it is! The 2019 RDX debuts the Acura/ELS Studio 3D™ premium audio system, tuned by Grammy-winning music producer Elliot Scheiner. The 710-watt system utilizes 16 discrete sound channels and 16 speakers, including four ceiling-mounted Highline™ speakers to create a more natural and omnidirectional high-fidelity listening experience – the most advanced audio system ever offered by Acura. Need extra storage space? The Acura RDX has got you covered! Hidden underneath the cargo area floor is a best-in-class 1.7 cu. ft. of additional storage. Flipping the multi-folding floor panel up and forward reveals a storage area 16 inches long, 30 inches wide, and 6 inches deep – enough to hold folding chairs (bag type) or two laptop computer cases. Flipping the cover up a second time reveals two additional storage bins. 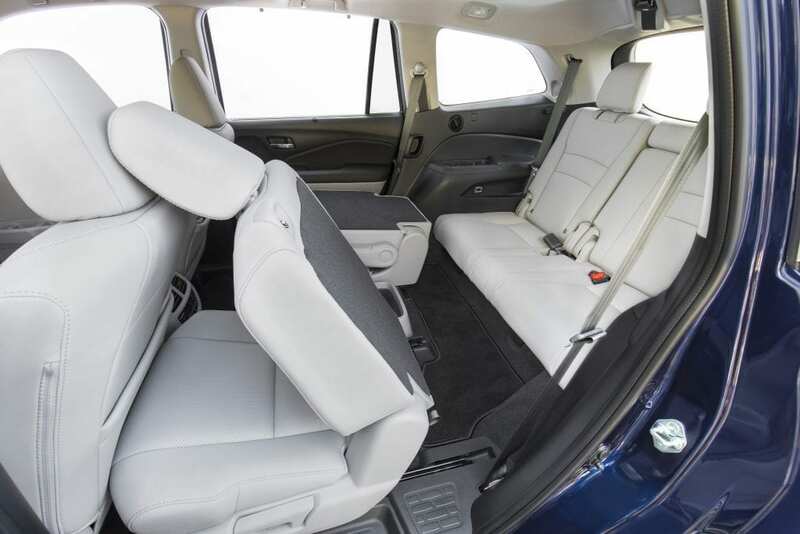 In addition, a handy open storage bin that can accommodate six wine bottles (yes, they tested this out), six beverage cans or a gallon of milk is positioned at the left side of the cargo area behind the rear seat. Two incandescent bulbs illuminate the storage area when the tailgate is open. The 2019 RDX is powered by a direct-injected and turbocharged 2.0-liter, 16-valve powerplant with DOHC VTEC® valvetrain mated to the segment’s only 10-speed automatic transmission (10AT). Peak output of 272 horsepower (SAE net) and 280 lb.-ft. of torque (SAE net) bests RDX’s key competitors, including Mercedes, BMW, Audi and Volvo, and delivers 40 percent more low-end torque than the outgoing 3.5L V6 for powerful acceleration. As a mother of two, safety is extremely important to me. The third-generation 2019 RDX offers the highest level of standard safety and driver-assistance features in the model’s history – and in its class. The AcuraWatch™ suite of technologies is now standard on all RDX grades, along with a Multi-Angle Rearview Camera, while the Technology Package and higher grades add blind spot information (BSI), front and rear parking sensors and Rear Cross Traffic Monitor. The RDX with Advance Package includes a Head-Up Display and Surround View Camera System for the first time. 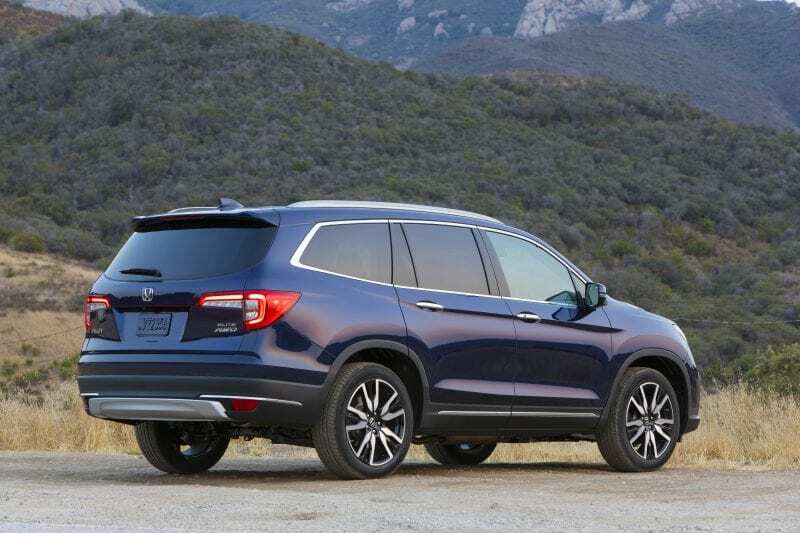 The pricing of the 2019 Acura RDX undercuts a number of other category competitors. Fully loaded, it comes in at just a little more than $47,000, a reasonable price compared to less powerful, less spacious, and less technically advanced competitors. The Acura RDX Compact Luxury SUV is going to give its competitors a run for the money. The RDX has the latest and greatest in technology, enhanced safety features, a striking design both inside and out, superior sound system, and impressive value for the cost. All this combined with the history and reputation of the Acura brand behind it, it is going to be one of the best car purchases you can make. Five of the six models in the Acura lineup are made exclusively in central Ohio using domestic and globally sourced parts, including the ILX and TLX luxury sports sedans (Marysville Auto Plant), the RDX and MDX luxury SUVs (East Liberty Auto Plant) and the Acura NSX supercar, which is built to order at the Performance Manufacturing Center in Marysville, Ohio. Disclosure: I was Acura’s guest for this test drive; travel and accommodations were provided but all opinions are my own.